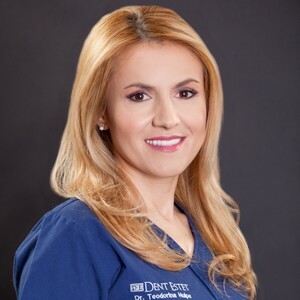 Dr. Teodorina Secară graduated from “Iuliu Hatieganu” Faculty of Dental Medicine and Pharmacy Cluj-Napoca and she specialized in Orthodontics at “Carol Davila” UMP, Bucharest. Dr. Teodorina Secară is a member of AAO (American Association of Orthodontics), WFO (World Federation of Orthodontics), ANRO, EOS and DGKFO. In 2010 she completed the Incognito lingual technical certification under the guidance of Dr. Jean Stephane Simon.